The review “The consequences of Tree Pests and Diseases for Ecosystem Services” by scientists from the universities of Southampton, Cambridge, Oxford and St Andrews is published today (15 November) in the journal Science. 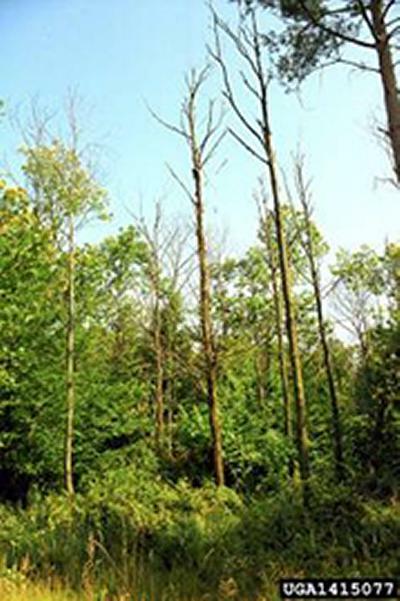 The research shows that the experience of widespread death of trees, similar to that seen from Dutch elm disease and with the arrival last year of the new fungal disease of ash – Chalara fraxinea – has not been unique to the UK. Furthermore, there is growing concern that aspects of globalisation – in particular, high volumes and new forms of trade – may increase the risk of disease spreading and provide opportunities for genetic reassortment which can enhance pathogenicity (the ability of an organism to cause disease). However, identifying all species that may become pests will be impossible and researchers stress the importance of risk management at “pathways of introduction”, especially where modern trade practices provide potential new routes of entry for pests and pathogens. They argue that science-based policy and practice can prevent the introduction of new diseases and improve recovery and ongoing management, this includes the breeding of resistant trees and development of effective bio-control systems. “disease” was used to describe all pathogens and small-to medium-size insect herbivores that — by causing tree damage and death — disrupt the ecosystem services provided by trees.